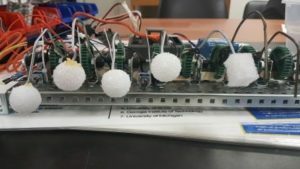 I (Dr. Hassan Nameghi) have supervised more than 20 teams of college students who came up with amazing ideas and they have built functional prototypes. Here are some of these cool projects. Laser Engraver: The Project that we have attended to focus on building contains many features that benefits the students. The Laser Engraver can engrave shapes, names, and many other sketchers on any piece of objects other than metals and glass. 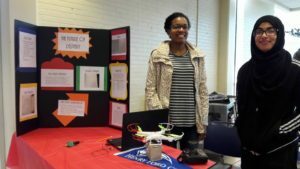 With this great invention, students can benefit from it financially and creatively. This project can be used to help designers create a unique type of sketch that can be used as a design. Also, The Laser Engraver can be used as a financial support for some students by using its own ability to design on simple objects that many people can use such as phone cases, hand bags, and pens. Piano Robot: The project channeled art and engineering at the same time. The original thought was to build a robotic hand that will play like a human hand. Design and material were an issue, also the time frame did not work for the whole team. 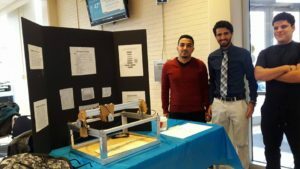 After doing research, the team decided to go with a machine that is designed and programmed to play all the notes of the piano. The problem we wanted to tackle was making classical music available for anyone. If succeeded, we envisioned seeing this machine in every coffee shop and music class in America. The machine will have the capacity to be loaded with tons of programs that can be put on demand. All the user has to do is upload the program and hit play. The argument was made that I-Tunes and radio is already popular enough and the need is not there for such a machine. We stood by our choice because of the trending videos of piano players on the internet. To find more about the project, please click here. Drone for medicine delivery: Prescription delivery is dangerous and can be delayed. This is a problem because missing doses can be very hazardous for patients and theft increases revenue loss for pharmacies. The team examines a drone for medicine delivery. 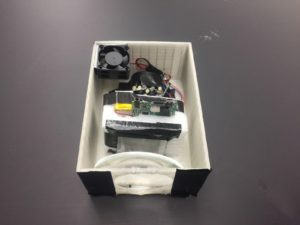 Mini-projector: The idea of building a homemade LED projector from scratch was sparked when group members thought about the hanging projector we have in the classroom. Upon what surfaces can it project? How much does it cost? How mobile is it? How many moving parts and outlets? This was all considered and we soon realized that most traditional projectors today are rather sophisticated. We sought out to build a very simple one out of an MP4 player aided by LED lights and magnifying lenses.